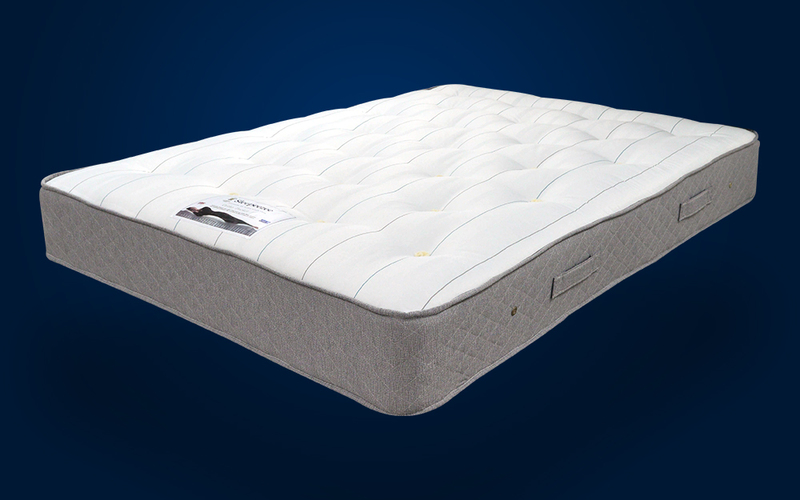 The Sleepeezee Ortho 800 Pocket is a wonderfully firm, pocket sprung mattress made to support your body and relieve back pain. 800 individual springs react to the contours of your body and absorb any movement to prevent disturbances during the night. The comfort fillings are hypoallergenic, making this mattress a great choice for allergy sufferers. Hand-tufted and made in the UK, this mattress also carries the National Bed Federation seal of approval and comes with a five year guarantee. Available with Free Next Day Delivery!